Our exciting culture and atmosphere, we focus on being positive and don’t pay attention to negativity. 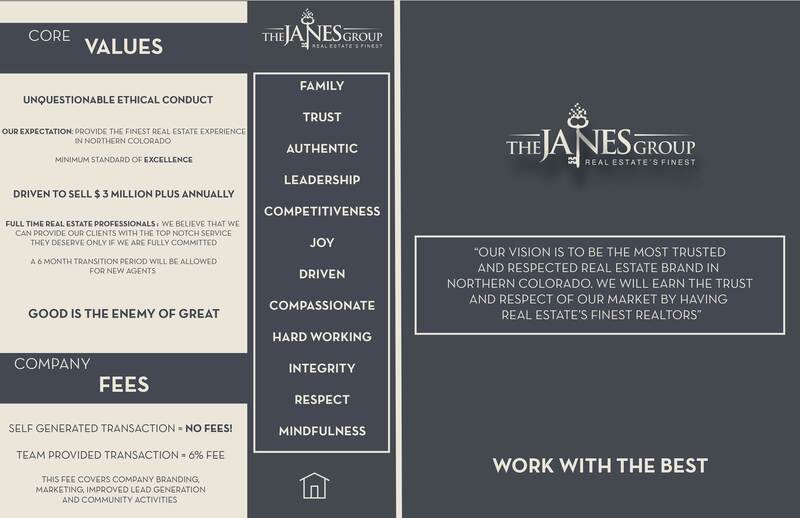 We bring a fresh view, and a tenacious attitude to the real estate industry. Who doesn’t love that? Our authenticity. The Janes Group is full of down to earth people. 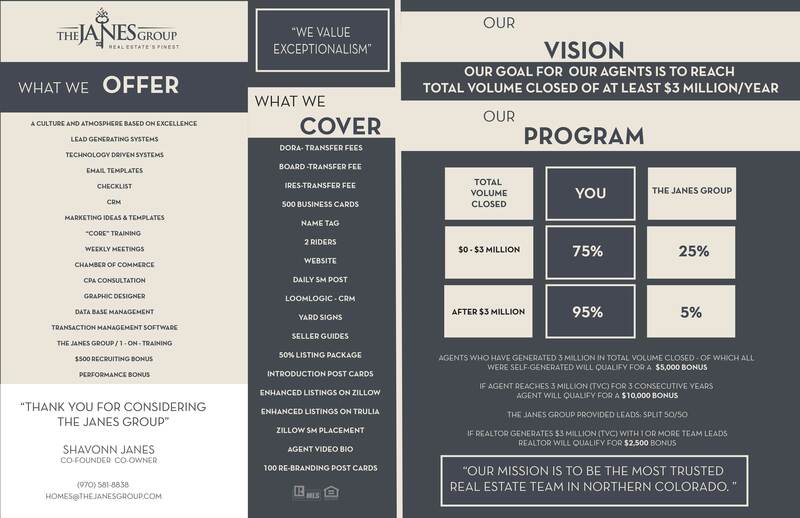 Each agent on our team is important to our company. We strive for quality over quantity. We don’t want our agents to get lost in the numbers.